So here they are: Every servant in Beauty and the Beast as a servant on Downton Abbey. Cogsworth is the “very serious” servant who is loyal to the Beast and (tries to) control the servants. Just like Carson. Cogsworth also has a flair for dramatics. Just like Carson. This is the most questioned comparison. “Oh, Mr. Bates is not Lumiere. Lumiere is Thomas.” (I said that in Ricky Gervais’ voice, by the way.) 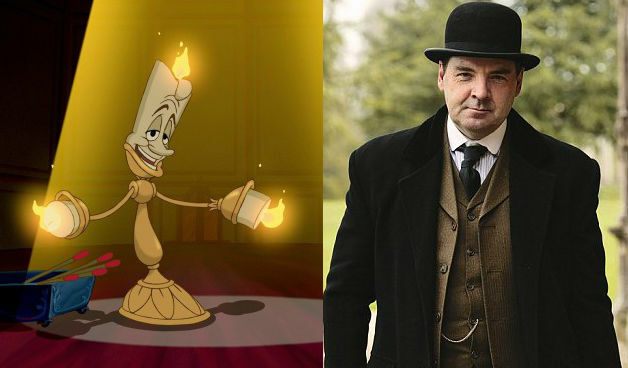 Although their personalities don’t quite fit, Lumiere is Bates. Neither is particurly conniving, they’re loyal, and they are in love with Fifi (Anna). Mrs. Potts and Mrs. Patmore are exactly the same person. Sometimes I forget that Lesley Nicol plays Patmore and not Angela Lansbury. Daisy is not Mrs. Patmore’s child but they have a very obvious mother-child relationship. Especially when it comes to dealing with Daisy’s relationship with William. This leaves one question: Which Beauty and the Beast servant is O’Brien? Let me know in the comments. O’Brien is Gaston. The strong jawlines are too similar to ignore! I thought of that too. But Gatson is not a servant so I vetoed it for that reason. Yep. The evil organ for Thomas. O’Brien is LaFou, he’s a servant. 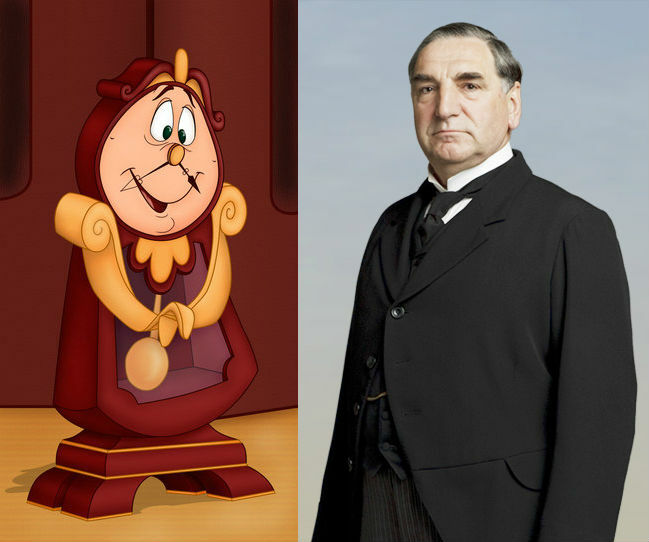 Found this post, when I googled Carson is cogsworth. 😊😊 O’Brien is the stove UN beauty and the Beast. They both think they’re under appreciated.